This captivating pendant is from Posh Mommy. 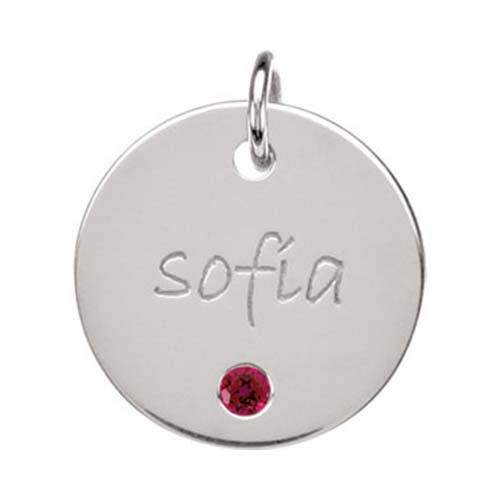 Crafted in sterling silver, a round disk features a synthetic garnet, the birthstone for those born in January. The circular piece is engravable with up to eight characters. The pendant is a classically-designed piece that is sure to become a treasured favorite. A chain is not included.